Today is Christmas Jumper Day, everyone wears their best or ugliest Christmas jumper and Save The Children gets lots of donations to help them protect more children from poverty and abuse and help them fulfil their potential. 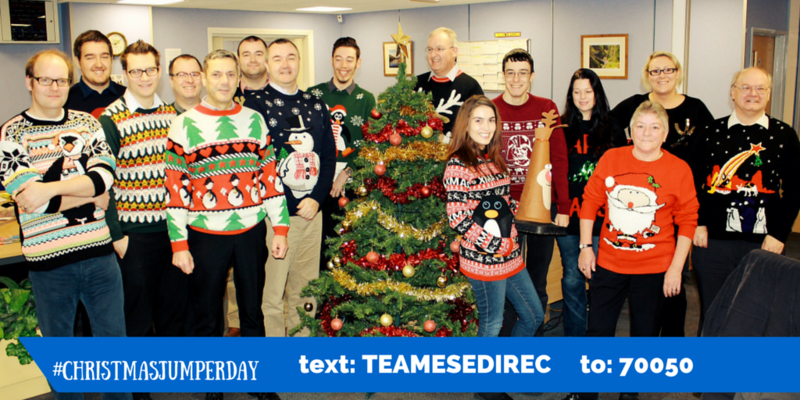 To donate to the cause simply TEXT WOOLLY (or TEAMESEDIREC if you want to help us up the leader board, don't forget its plus the standard network rate) to 70050 to donate £2 you can keep tabs on how much has been raised by visiting the Christmas Jumper Day microsite. Now for the best bit! Our jumpers! Lee went for a Geometric Christmas affair. 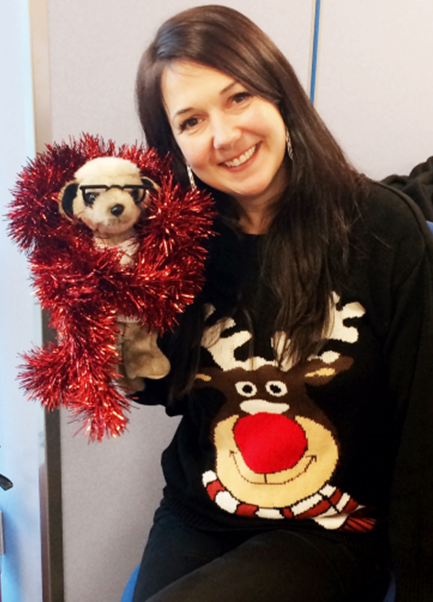 Another classic reindeer jumper, and Sergei joined in too, but he has a bad case of tinselitis. 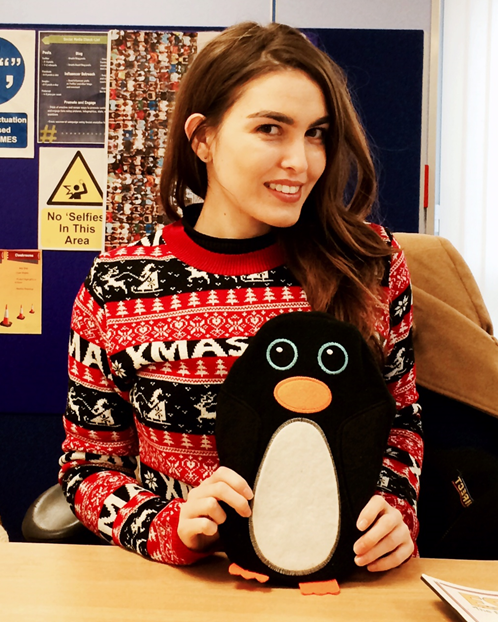 Laura went for an updated fairisle number with her Pengwing hot water bottle! And heres a picture of everyone getting into the Christmas spirit!